When I cleared our house of toxic cleaning products five-years-ago, I thought the conveniences I had grown accustomed to were forever gone. We used to go through 2-3 rolls of paper towels a week, countless napkins, and I never thought twice about using Clorox wipes. Switching to non-toxic products made me think outside of the box, and I began to look for inexpensive and environmentally responsible ways to keep my house clean. 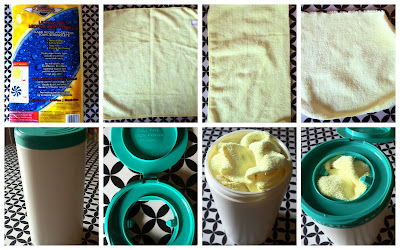 A friend introduced me to flour sack towels, and I more recently switched many of my cleaning towels over to microfiber cloths. Microfiber cloths are amazing! They are lint free (so they are great for mirrors), absorb a lot of water, and 36 of them are $16 at Costco. 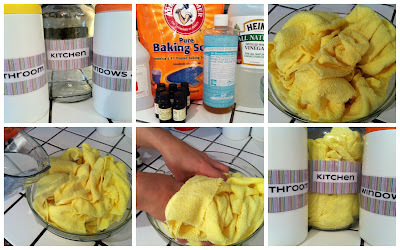 I cut half of the towels into quarters, put them in containers and poured in my own wipe solution. The end result is inexpensive, convenient, and non-toxic wipes that you are not concerned about your children touching. 5. Get an old container with a lid (I used an old wipe container) 6. Break off the dispenser tabs in the lid. 8. Put lid the lid on. 4. In separate mixing bowl, mix ingredients together. It will foam when you add the baking soda. Stir well & quickly pour into the cloth bowl. 5. Squeeze the cloths with your hands until all of the cloths are slightly damp, but that cannot be wrung out. 6. Put the cloths into designated containers. I have a bucket for used cloths next to my washer. Once the containers are empty I wash the cloths with ½ cup washing soda, 1/2 cup borax, and 10 drops of tea tree oil. I love this! I'm totally going to have to make my own! I hate the smell of most cleaners anyway and at least I can choose the smells that I want to smell. Thanks!! I really love this! My daughter and I have been making our own laundry detergent and other sprays naturally and this is wonderful. I am madly in love with Jesus, my husband and my children, but I started out completely oblivious on how to abide and prosper in these roles. By God’s grace, I am learning what it is to be my husband’s help-mate, pursue my children’s hearts, and how to frugally manage my home. Some days I feel like I can conquer the world, or at least my laundry pile, and other days point towards my complete need for God’s strength. Frugal Wellness was started because I realized I was not alone in my intimidation and ignorance. Living well is about more than nutrition and health, though that is a big part of it, but it is also about nourishing ones soul, and loving people well. 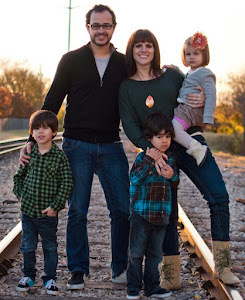 This is a blog about my adventure in learning to be a wife, mom, cook, a non-toxic home manager, and a home educating parent - on a tight budget. My hope is that I can share what wisdom God has given me, and that this is a place where we can all learn and grow together. Wash Your Face With What?? ?